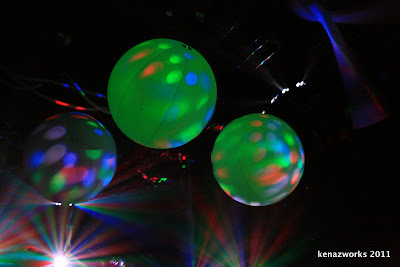 ChiIL Mama : Blue Man Group-Now More Wow Indeed! Double click on the slide show for full screen options. All photos by ChiIL Mama. 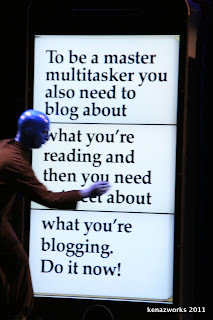 Pardon the terrible pun, but Blue Man Group just blew our minds yet again. We first saw their show way back in the day, and were so excited about it that one Christmas we gave Blue Man tickets to every family member on both sides of the family! It was a great pleasure to hear Co-Founder Phil Stanton speak, and be among one of the first audiences to preview the new material. Back when they started, with a short bit in the ever popular Millie's Orchid Show, then mounted Tubes in New York and Boston in 1991, the three friends never dreamed their cyan sketch would launch an empire. Longtime friends Chris Wink, Philip Stanton, and Matt Goldman founded Blue Man Group as a way to celebrate the human spirit through music, science, art, and theatre. 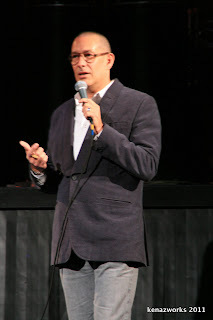 After giving more than 1,000 performances in New York, the original three Blue Men stepped off-stage to focus on building Blue Man Productions into a successful global creative company. What started as a three-person operation has expanded into a decades- long partnership encompassing live theatre, Grammy Award®-winning original music, two rock concert tours, various children’s educational offerings including the founding of the Blue School, and multiple appearances on major television shows. *We just saw the Blue School featured as a positive education model, in the excellent documentary, Race to Nowhere. We'll have a full movie review posted soon. As of March 3rd, Blue Man Group is adding new material to its long-running production at Chicago’s Briar Street Theatre, 3133 North Halsted. 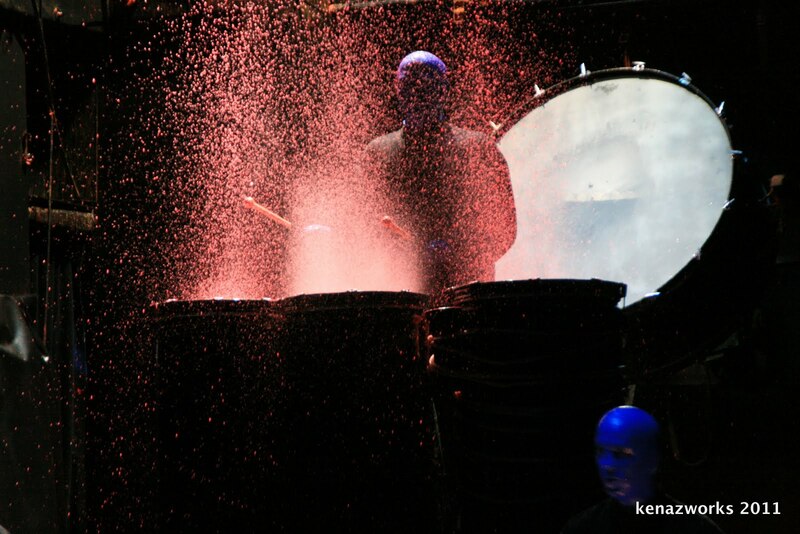 Blue Man Group is ccontinuously renewing its productions to best resonate with audiences. We were extremely impressed with the melding of the best of past performances with a hilarious, new technological commentary. Like the best art and theatre, this show entertains, enlightens and expands minds. After you see this show, you will never look at your cell phone quite the same way again. The new material places the Blue Men in a variety of new environments to discover, engage with and explore of-the-moment situations and cutting-edge technology. Much of the new content is from the company’s larger-scale productions, adapted for use in the intimate venues. Several of the signature scenes that have made Blue Man Group one of today’s best-loved theatrical productions will remain in the production, though in most cases have also been updated. Blue Man Group is best known for its wildly popular theatrical shows and concerts that combine music, comedy and multimedia theatrics to produce a totally unique form of entertainment. 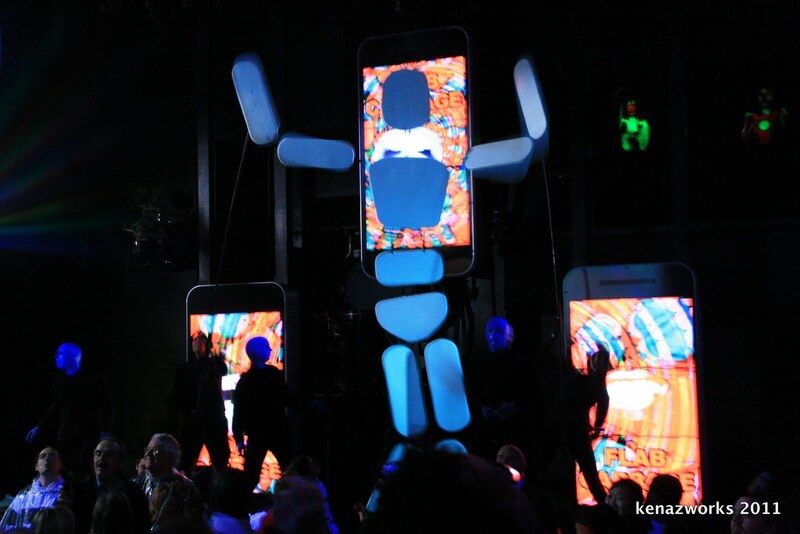 The blissful party atmosphere created at the live events has become the trademark of a Blue Man Group experience. Currently, Blue Man Group theatrical shows can be seen in New York, Boston, Chicago, Las Vegas, Orlando, Berlin, Tokyo, and on tour throughout the U.S. and Europe. Fun for the littles: Blue Man Group’s appeal is multi-generational, with several projects specifically designed for young people, including “Making Waves,” a popular touring exhibit for children, and the recently launched national “Invent an Instrument” competition. The company’s music, featuring custom made instruments and signature, percussive sound, can be heard on five albums, including the Grammy-nominated “Audio,” as well as various film and television projects. As the company grows, it remains true to its vision of providing exciting experiences in a variety of media, appealing to a broad range of age groups and cultural backgrounds. Ticket prices are $69 and $64 for main floor and $59 for left balcony and $49 for right balcony. Tickets may be purchased at the Briar Street Theatre by calling the box office at (773) 348-4000; by calling Ticketmaster at (800) 982-2787; at all Ticketmaster ticket centers or via the Internet at www.ticketmaster.com. Be Blue Man: A national open casting initiative is ongoing to find individuals with the unique qualities to be a Blue Man; men and women with height between 5'10" and 6'1" tall (athletic build), solid drumming skills, excellent acting skills, and a willingness to relocate. Currently, there are approximately 90 Blue Men in cities from the United States to Europe to Asia. 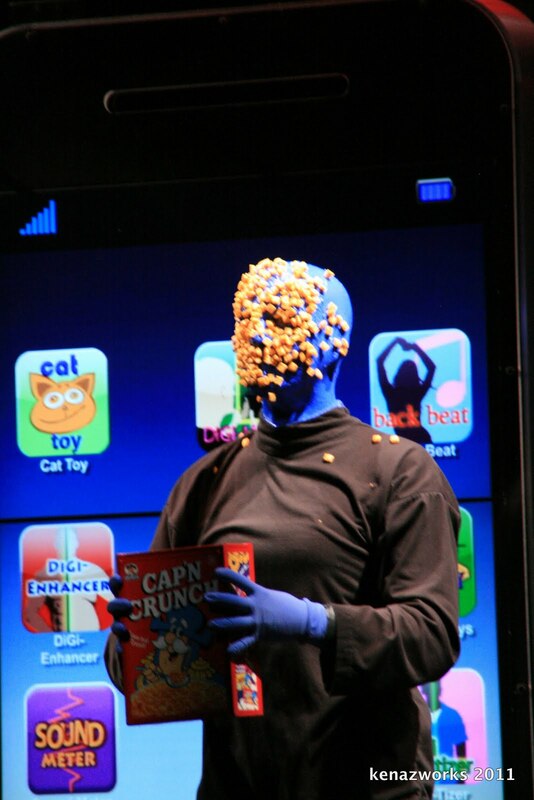 To date, over 17 million people across the globe have seen a live Blue Man Group performance. Check out their web site HERE for sweet videos, Invent an Instrument National Education Program, The Bump Your Rump Booty Shaker Song Maker, and more wacky fun! 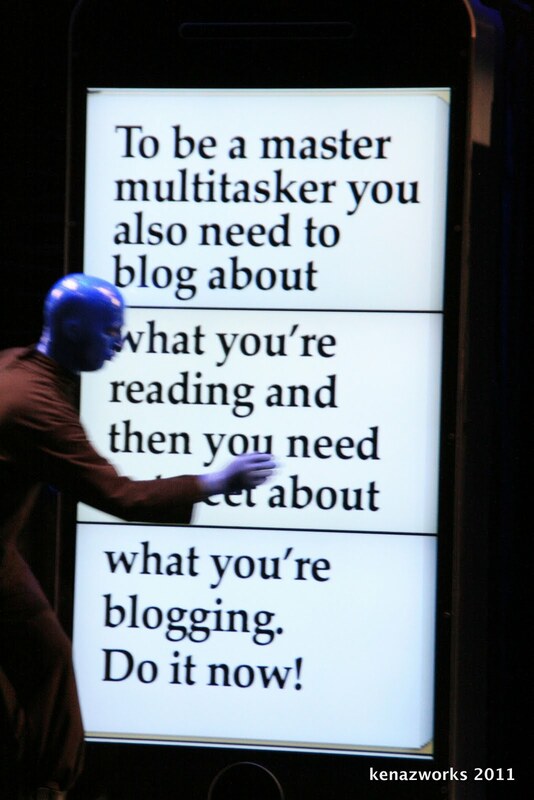 Blue Man Group is highly recommended. The new material is awesome, got to see it this weekend. My son has made up his mind... fireman is out... he wants to be a blue man.